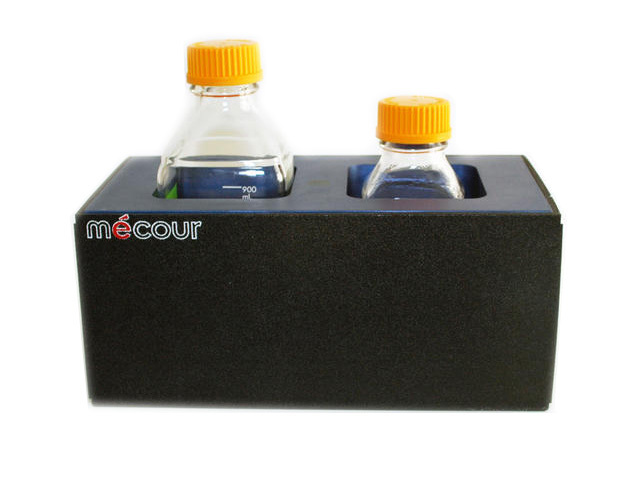 MeCour thermal block accommodating two one liter square glass bottles. Purpose for designing such thermal blocks is to provide uniform temperature to reagents and media as well as to the plates that such media is transferred to. 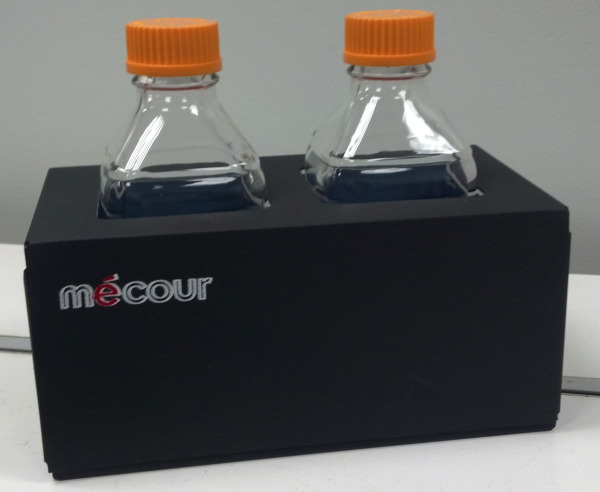 MeCour thermal block that will accommodate 1 liter square glass bottles. Above picture displays ability to incorporate two different sized bottles in same thermal block. Purpose for designing such thermal blocks is to provide uniform temperature to reagents and media as well as to the plates that such media is transferred to.